Finally, a deluxe hardcover edition of the Invader ZIM comics is here! Laugh your way through the first ten issues of Invader ZIM--as well as the exclusive #0 issue not available in stores! 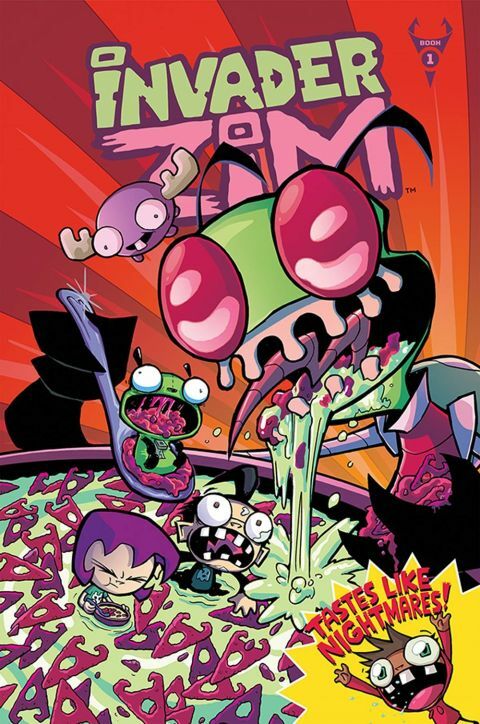 Relive the terror of watching the Invader ZIM TV show by reading Invader ZIM, the comic! Now in a bigger size so you can catch every single horrible detail! Featuring hilarious stories by Jhonen Vasquez, Eric Trueheart, and KC Green, and horrifying art from Aaron Alexovich and Dave Crosland, this is one collection not to be missed!